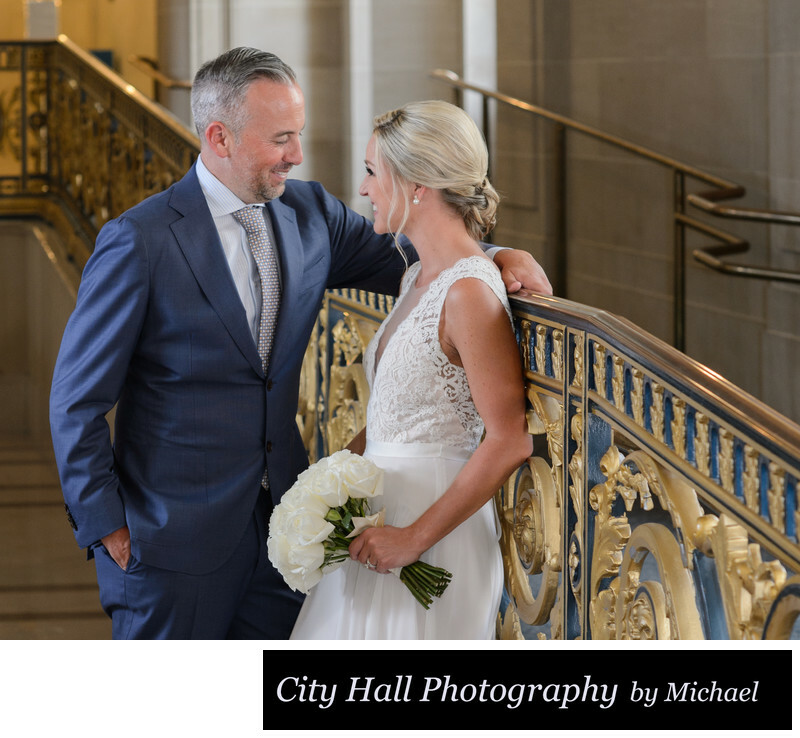 Best SF City Hall railing wedding photographers image - Amy and Patrick City Hall Wedding Gallery - SF Tour and North Beach Reception. Sometimes it is nice to just pose the couple in a casual way. In the photo above we pretty much just asked the couple to be relaxed and hang out. We knew that we liked the gold railing at San Francisco city hall so we placed them in that area and then just let things happen. This bride and groom were naturals anyway so it made it easy. We offer affordable professional city hall wedding photography to our clients and have been doing it for over 7 years.